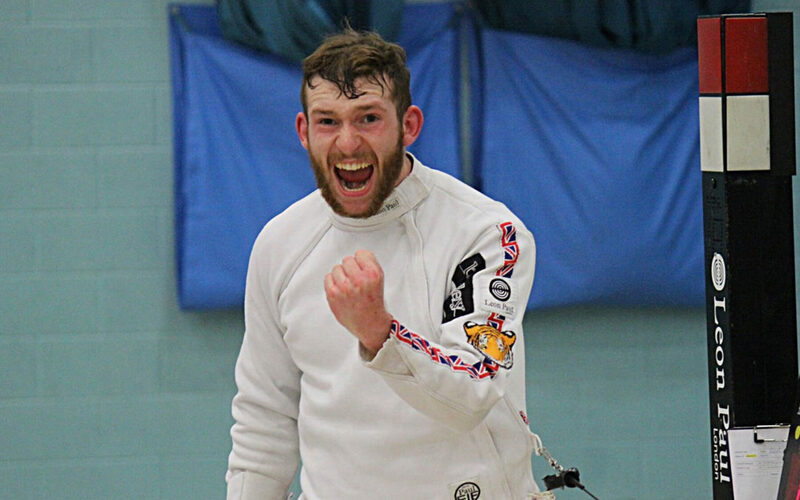 George Morris, a University of Surrey sports scholar, recently became the number one ranked under-20 fencer in Great Britain. Morris, who is heading into his second year at the University, has competed at a series of high-profile events and competitions in the past year. Whilst fencing at the European Championships and Commonwealth Championships, the 19 year-old was able to amass enough points to place him as the number one GB Fencer in the U-20’s age bracket. The Sport & Exercise Science student spoke of his delight at his latest achievement in an interview with Team Surrey. “It feels amazing to be at the top of my sport. Morris was quick to thank his fencing coaches Ian Lichfield and Andy Reynolds for their support, as well as Team Surrey strength & conditioning coach Jordan Niblock. “The support that I have received throughout this year has been amazing, from financial support to help with travel and training sessions at Surrey Sports Park. Team Surrey would like to extend their congratulations to George on his achievements, and look forward to supporting his development during his time at the University. Ever fancied giving fencing a go? You can try it out at our Active Freshers’ Fair on the 29th and 30th September! Click here for more information.